Gross Magic is a much sought after favourite of tricksters everywhere! This set features props and ideas for more than forty revolting magic tricks and illusions so your little ones can impress their audience (or should we say victims) this Halloween with the practised use of a ‘clean to dirty’ toilet and ‘poo paper’, hatching cockroach eggs, slime in a dustbin, jumping and vanishing bogies, pretend veins and a squidgy telepathic brain, to name but a few. These conjuring feats are guaranteed, with a bit of preparation, to produce groans of nausea from friends and family. 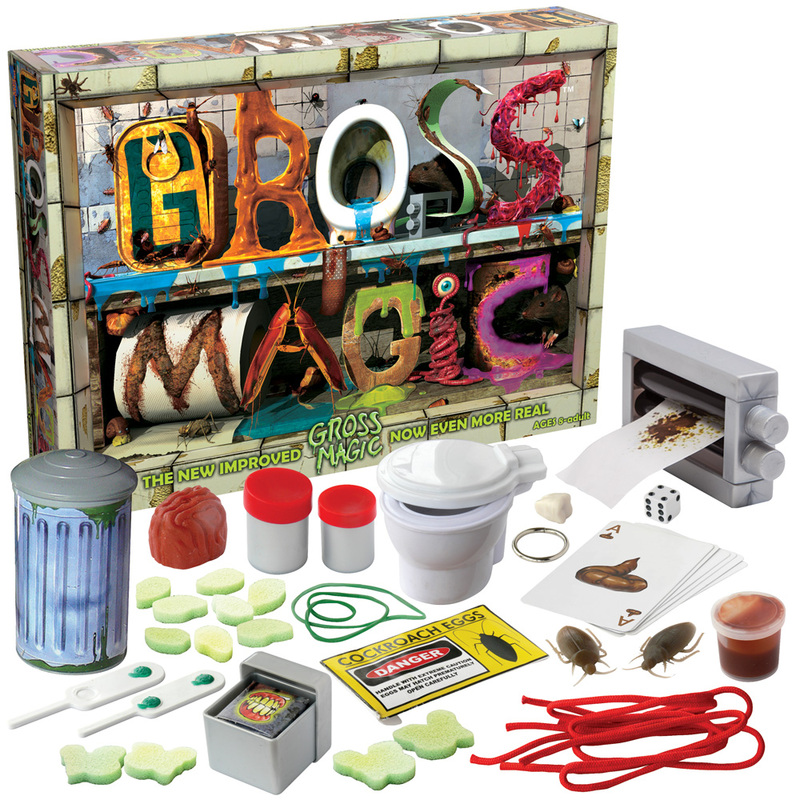 Gross Magic is £19.99 and suitable for children aged 8+. Visit www.drumondpark.com for more details. 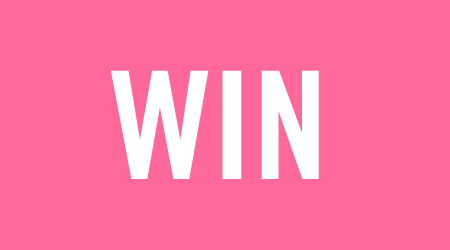 For your chance to WIN Gross Magic in time for Halloween you can enter via the Gleam entry form below. 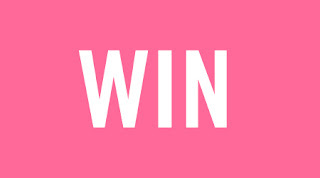 The giveaway ends at 11.59pm GMT on 15th October 2016. When I was younger, we played Nicky Knocky Nine Doors but that is as far as my tricks went! I was too chicken! we have no current plans but the children normally go to one of their friends for a halloween party. Yes, Halloween parties have become populat. The last couple of years we have had to choose from a few invitations to parties for Halloween. Decision made for this year, now to decide what to wear etc. We will be having a little party at home! My mum used to work from home, and we'd put sellotape over the button on the telephone so it would keep ringing even after she picked it up, it fooled her every year! We once had a hanging spider by the doorbell & we could here the kids scream!! We once played trick or treat and ended up seriously annoyed when some man told our kids to swear off as he was on the phone... we were not happy at his language! we have a halloween party at home every year, i love halloween! I don't really have plans this year. I used to love taking my grandchildren out trick or treating but now they have moved nearer to me their mum gets home to do it. We didn't have to do any 'tricks' as we were lucky to get treats. The kids will dress up and we will go to our local community centre to a party. We'll dress up and have a big family party where we watch scary movies and eat too many sweets! My son wants to go trick or treating this year, he wants to dress up as Pikachu, he loves pokemon! Tricky or treating with my nephew and then a family party! No firm plans yet but it will involve costumes, blood and three little monsters! We usually go to a friend's house for a fun party! We decorate our house and lay in wait for the neighbourhood kids to visit....My kids love handing out the sweets. We will probably just go trick or treating. I love hiding in the closet and jumping out! We will stay at home ready for the little tricker treaters! I don't have any plans this year, but the kids think differently. They're already planning their outfits and want to go trick or treating! We usual take the boys out trick or treating, I am already on the look out for gruesome costumes! For always have a Harry Potter themed Halloween Party each year (think Pumpkin Pasties, Butterbeer, Chocolate Frogs etc.) as we're huge Harry Potter fans & our youngest's birthday is 2 days after Halloween so it's a double celebration. I'm hoping to go to Scarefest! We are having a Nightmare Before Christmas themed tea! Just the usual Trick or Treating with the kids. I plan on taking the kids to a halloween party. I think letting them lose on the neighbourhood might be a bit too much lol. Might throw a halloween party for the kids - we had so much fun last time we did it. We're planning a night in with lots of halloween themed films, sweeties and fun! we have a little party for the kids and dress up and play games. We are staying in a cabin in the woods - I'm sure it'll be fine, what's the worst that could happen?! I will probably just take our girls trick or treating, round our neighbourhood. We create a haunted trail in our yard for brave trick or treaters to walk through. This years theme will be a creepy circus. My partner likes to decorate the front window, and we hope for some ghosts and witches to come calling for treats. One year she was just leaving for the pub fancy dress party as some little girls turned up. They ran away screaming before she could give them sweeties, her skull latex prosthetic was too scary. we always go to our friends converted chapel on halloween... spooky!!!! It's my husbands birthday on Halloween so we combine the two and have a spooky birthday party. The best decoration we made was got a rubber glove and filled it with coloured water and froze. Then removed from the glove and put it in a punch bowl so it looks like a hand is coming out of the punch. It looks very effective. We're going to visit family and have a small party �� my son would love this! Thx for the chance! Halloween party :) Kids love it! This year for Halloween we will be dressing up and handing out treats to the trick or treaters. I haven't thought about Halloween yet! I think the funniest trick I played on people (it was actually Halloween when I did it - trick or treat!!) was in my local pub, I put cling film over their pints when they were at the toilet, and they couldn't work out why the drink didn't come out for a few seconds! We always do the same thing. Spooky party tea, followed by Trick or Treating around the area and then back in time to open the door to lots of spooky visitors! I plan to get some pumpkins that we can carve the weekend before Halloween. My son's school has a Halloween and fireworks party that we'll be going to. The family will go out trick or treating and I shall stay home and provide callers with sweets and treats! A halloween party at the soft play for the kids ... and then a quite night in watching hocus pocus and eating sweet treats. Off to a hallowe'en party at a friends house. For the first time we are having a family and friends Halloween party as most of the children do not want to go out trick 'n treating this year. The family always get together and we dress the house and children up and have a hallowe'en themed supper. The children then go trick or treating in my sister's cul de sac. I will be taken my daughter out to trick n treat, she did it the first time last year (age 5) and loved it. We are going to a halloween party during half term and then on the day we will do crafts and watch a spooky kids film. I will be taking my daughter treat or treating and we are also holding a children's Halloween party. My son is too shy to knock on people's doors. Instead we decorate the house and garden with spooky cobwebs and he answers the door to trick or treaters dressed up as a werewolf. Going to a couple of Halloween parties. We haven't made plans yet - it'll probably involve dressing up and eating Halloween cakes and sweets! We like to go trick or treating. as chair of the PTA I will be running a disco for the whole school! Trick or treating and then watching hocus pocus. My birthday is in the beginning of November, so we are having a joint birthday Halloween party. We are visiting my Brother's house for a big family Halloween party,all fancy dress of course!! This Halloween we are having our very first Halloween Party on the Saturday before Halloween. It's for family and friends, young and old, and I can't wait to start decorating the house and making, baking and cooking lots of Halloween foods! Always answer door at Halloween is a Scream mask & black cape. I will be hosting a party in the library then giving out sweets at home. We'll be trick or treating and giving lots of sweets to the children (and adults!) who dress up and trick or treat at our house! I also carve pumpkins. It's so much fun!